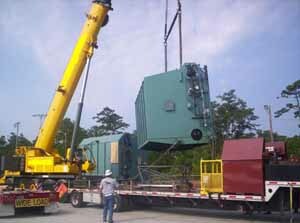 North State Mechanical, Inc. is a full service mechanical and general construction contractor, specializing in heavy industrial and commercial construction. We have proudly served Eastern Carolina since 1996 and have forged strong relationships with federal government agencies and the private industrial sector. With a history of quality service and workmanship, you can depend on North State Mechanical, Inc. to meet your construction needs. NSMI offers HVAC design and installation, pumps and Air-trol systems, steam and condensate, plumbing, piping, boilers, underground water and sewer, HVAC controls, demolition and more. Learn more about our full range of construction services here . NSMI strongly encourages the participation of small business, minority and women owned businesses. Investigate current employment opportunities here.